We are among the reputed organizations, engaged in manufacturing, supplying and wholesaling Variable Frequency Drive for Elevator. Used in washing machines, small size cranes and elevators, these are provided in various models and specifications at market leading prices. Our products can also be customized as per the demands and needs of customers. 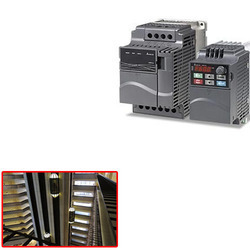 Looking for Variable Frequency Drive for Elevator ?